Yu is a college drop out who works part time, but he's at his happiest point in his life so far. He just started to become really intimate with his girlfriend Saya and they can’t keep their hands off each other. But Yu’s stepsister, Sana, suddenly pops into his life after 5 years. They were separated when their parents divorced and with their mother getting remarried, Sana could not stand living with her anymore. With nowhere else to go, Sana starts living together with Yu, but at 19 years old, she has grown into her body. Yu is torn between the two women in his life and has to pick one or risk losing both of them. Kashima Lin comes from a family of people who can cause dolls to come to life and perform tasks. While she was away from Japan, both her older sister Shiori and her grandfather died in a mysterious fire. 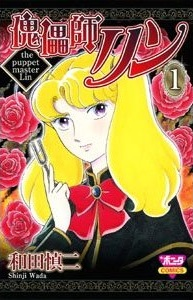 She returns to Japan, determined that Shiori's fiance, the famous violinist Serikawa Akito, murdered them and stole their family's special dolls. Now Lin, with the help of her childhood friend Tomoe, is determined to do whatever it takes to make her sister and grandfather's murderer pay and to take back what is rightfully hers. After his retirement, four time junior feather weight world champion of boxing Hanaoka Ken opened up a restaurant. But his business was hemorrhaging money from the lack of customers and Ken was looking for ways of bringing life back into his dying business. He meets a celebrity muilti-millionaire chairman and learns the absolute basic but crucial fundamentals of operating a business. The chairman, who acknowledges Ken’s determination, talent and luck decides to invest $1 million in Ken. With that amount of capital, Ken can start any business. He will bring the same passion and philosophy that took him to the top of the boxing world to the business world. 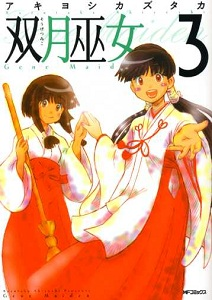 Three girls are the only members of the Fortune Telling department at Sakumigaura School where they each pursue their own style of tapping into their energy to find answers. 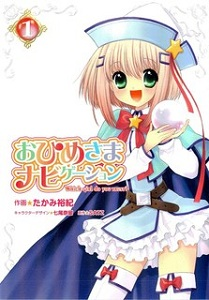 Hoshikawa Crystal uses her crystal ball while Nano Kari uses meditation and chi and Kaguyama Hime uses ancient spirits. The three are always together and help each other hone into their abilities but never forgets to have a great time. Unknown to the general public, there is a tiny percent of the population that will mutate and develop special abilities. Dangerous organizations hunt down those with powers to research and exploit them. However, there is an underground group made of ability users that are fighting back against that. 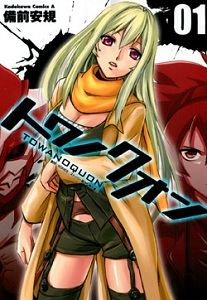 Quon and Yuma are at the front lines of this resistance group and use their combat strength to protect others who still have not realized their powers. They work tirelessly day and night to locate, save and develop their brethren from the evil hands of a dark organization. 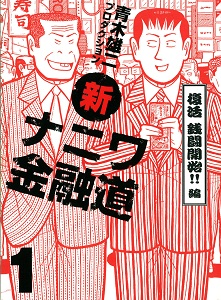 The introduction of western culture into Japan brought extreme changes to their society. From shifts in political power to the people quickly accepting Christianity, the country saw drastic transformations. However, there were just as much people accepting the change as there were people opposed to it. The pirate Iori has been rebelling against the westerners and those allied to them. During one of the raids, Iori finds two foreign prisoners and saves them. 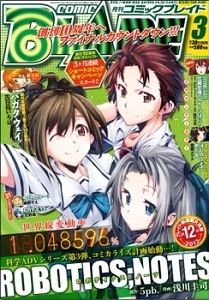 They are secretive about their identity but Iori soon becomes invested in their mission. 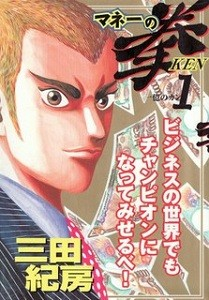 Money no Ken - Series for the more adult audience. Deals with the business world. I like the main character. He is already developed and feels like such a great character. Really curious how he will use the venture capital and what kind of company he will start up. 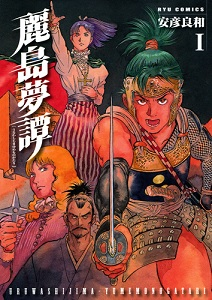 If you haven't done so already, check out the scanlations of the mangas from previous shout outs which have been recently scanlated: supernatural horror Hiiro no Marionetta (MH link), sci-fi action Moon Edge (MH link).